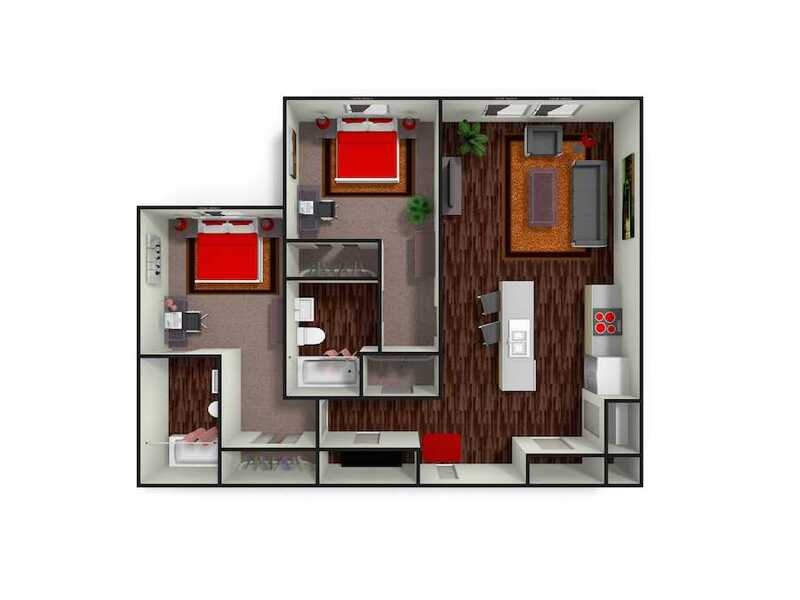 SIUE students know what they want – space, comfort and style. The 2 Bedroom, 2 bath apartments and 4 bedroom, 4 bath student apartments at AXIS Edwardsville offer that and so much more. From our standard of offering every apartment home fully furnished to utilities included in your rent*, AXIS has your bases covered. 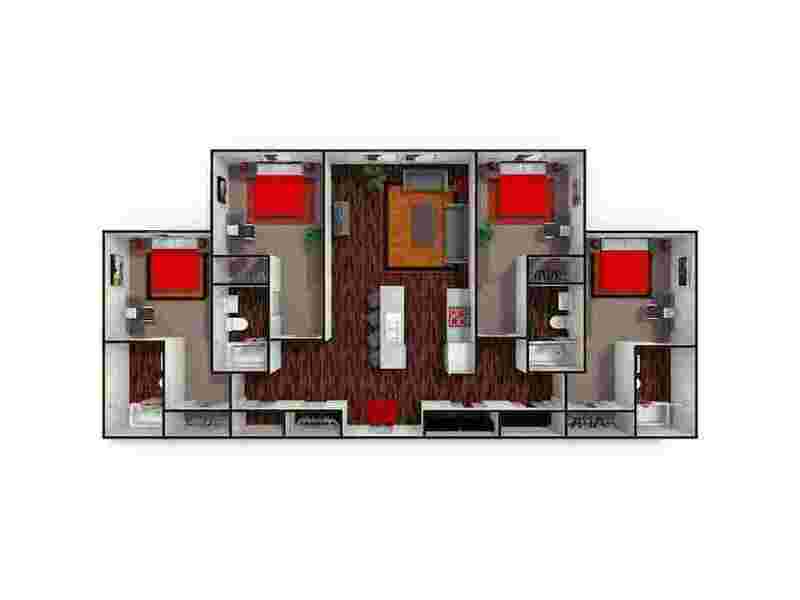 Now that hard part…choosing between our 2 bedroom and 4 bedroom option. *Utilities included, but a usage cap does apply for water and electric.